It was in this job that Weed first learned that surviving a mindless job is difficult, while surviving a mindless job that you actually have to think about is a medieval torture. 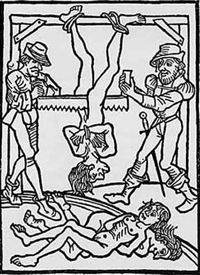 This entry was posted in the novel and tagged medieval torture, tickles by chrispagefiction. Bookmark the permalink.